Delta Air Lines announced Wednesday it will continue efforts to remove single-use plastic items by eliminating non-biodegradable stir sticks, wrappers, utensils and straws from the carrier’s planes and Delta Sky Clubs. In total, the move is expected to eliminate more than 300,000 pounds in plastic waste annually.The airline has worked hard in the past to eliminate non-biodegradable items, including dropping plastic wrap from international main cabin cutlery in April, removing the unnecessary plastic wrapping from Delta One amenity kits and reducing styrofoam in cafeterias at Delta's Atlanta headquarters. Travelers in Delta Sky Clubs have already taken note of the elimination of red plastic straws and stir sticks that were replaced with environmentally friendly bamboo and birch stir sticks. The airline said the straws and stir sticks on its planes will be eliminated by mid-2019. 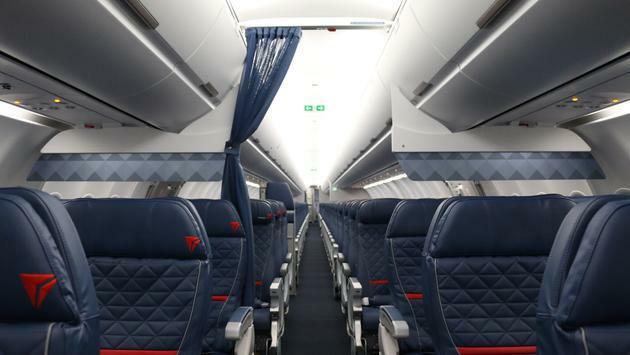 Delta joins a movement within the aviation industry—and the travel industry as a whole—of banning the use of plastic items. Other carriers such as American, Alaska, JetBlue, Southwest, and United have also issued similar bans. Other travel industry giants are making changes to better the environment, including Walt Disney Company’s plan to eliminate single-use plastic straws and stirrers at all properties by mid-2019.